A classic energy boating Clan assault sprinkled with variants inspired by the original IS Marauder chassis. This chassis possesses a great forward-facing profile for spreading damage, but is very vulnerable from the sides. Don't torso twist too much in this mech, you'll want to do the wiggle to spread damage instead, but the mech can shield very effectively when necessary. Nine energy with tight mount locations across the mech allows for almost all energy builds to work on this variant. This would be the variant to buy if you had to choose only one. Classic 2+6 Clan vomit goodness. Fast engine, near the max possible heatsinks, just go forth and delete things. Needing to stagger-fire 6+3 really negates the short-duration advantage of medium pulses, but it's completely worth it for the faster cooldown giving you mega burst potential. This is strictly superior to 2x cLPL + 6x cMPL. Niche ERLL boat for FP or competitive play. All torso mounts and plenty of tonnage for a large TC makes this a strong option. Better mounts and hitboxes than the quad-PPC Warhawk, but the lack of quirks makes this build inferior on the whole. Another all-energy variant lacking in hardpoint quantity makes this one of the weaker variants. It has higher base agility compared to the other variants, and better locations compared to the IIC-2, but none of this makes up for its lacklustre loadouts. Missing one laser compared to the original MAD-IIC, but with better agility instead. This tradeoff is simply not worth it. Same build as the MAD-IIC-2, but with better agility instead of jumpjets. Not a good tradeoff. A dakka variant capable of mounting heavy-hitting loadouts combined with very good convergence. This variant can dead-side and shield, but being all right-sided can sometimes be a huge detriment and require a very considerate playstyle to avoid getting neutered. This is just a really solid dead-sided dakka build with a PPC boosting the alpha. Remember to protect your right-torso. Higher alpha than the previous build, but weaker sustained DPS. Remember to protect your right-torso. Two missile hardpoints isn't really enough to justify running missile loadouts, and five energy is lacking for pure energy loadouts. This doesn't leave you with many reasonable build options, and makes this one of the weakest variants. Inferior to a proper ATM boat like the Scorch, but peek actively at ATM optimal range and this build will do quite well. Inferior to a proper LRM boat, but poke actively using the lasers and it will do okay. This is pretty much a MAD-IIC-A which sacrafices one ballistic hardpoint to have jumpjets and an extra energy. It's really not worth it. Superior burst and DPS to the 9x cMPL build, but being slower and lacking synergy holds it back. Near identical to the similar build on the IIC-A, but this time with JJs. An extreme limitation on hardpoints forces this variant into an extremely limited range of loadouts. ECM is a notable addition, but does not add any much-needed versatility. Do not try UAC20s, because the WHK is better. Do not try UAC10s, because resulting builds are underwhelming. Gauss is basically your only viable option. Essentially one of the only builds that is possible on this variant due to the brutally awful hardpoints. However, it's actually not a terrible build - it's a dedicated DPS sniper. Remember Cool Run and Heat Gen isn't very important in the Skill Tree this time around. You can even stack more ammo if you use this in FP. 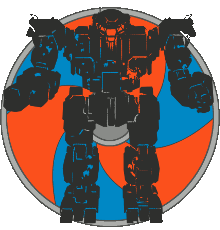 Same as above, but replaces TC with SRMs so that this mech can eventually push at the end of a match. Also generally more effective in QP. An all-energy variant lacking in hardpoint quantity and with lacklustre locations makes this one of the weaker variants, but the addition of jumpjets makes it almost worthwhile. Lack of hardpoints prevents this variant from running optimal wubs, but it is comparable alpha 9x cMPL build and doesn't need to stagger fire. The addition of jumpjets makes up for the inferior DPS, but not enough to make this the superior option. An exceptionally versatile hero which can run a wide variety of builds all of which are quite competitive. One of the best ATM48 boats in game due to agility and high mounts. Lacking secondary weapons is a notable vulnerability, though. One of the harder hitting brawlers in the game, highly optimised. Though, it's a bit slow, sometimes hot, and the hitboxes can be problematic when you get outflanked in a brawl. Delete things before they delete you. Yet another variant which runs this same loadout. But this time with somewhat low arm mounts, and a C-Bill boost. Regrettably one of the better LRM boats in the game, well-suited to direct fire. Lacking secondary weapons is a notable vulnerability, though.